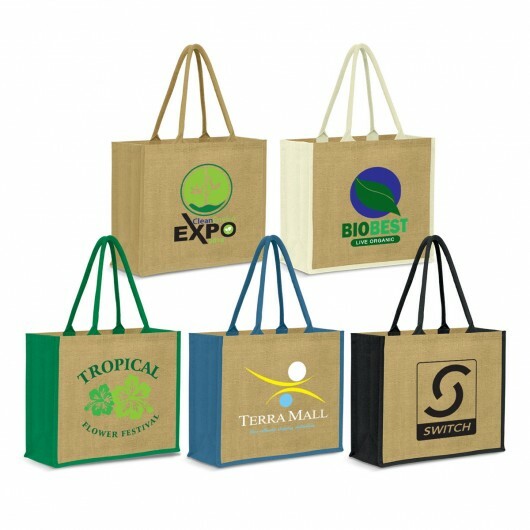 Eco friendly and great for your promo. 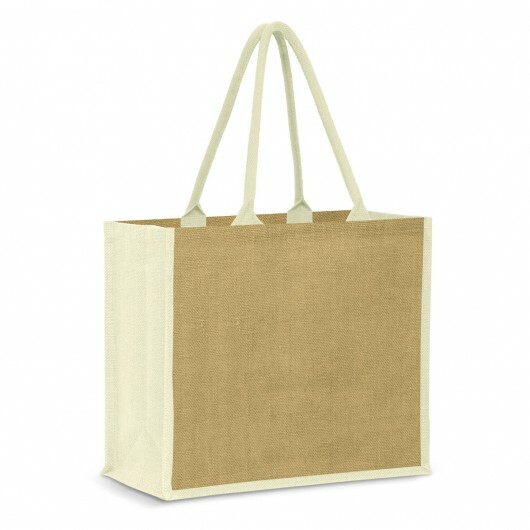 These bags feature a large sized print of your logo. Extra large in size with colourful accents makes the Naturalis a popular choice. 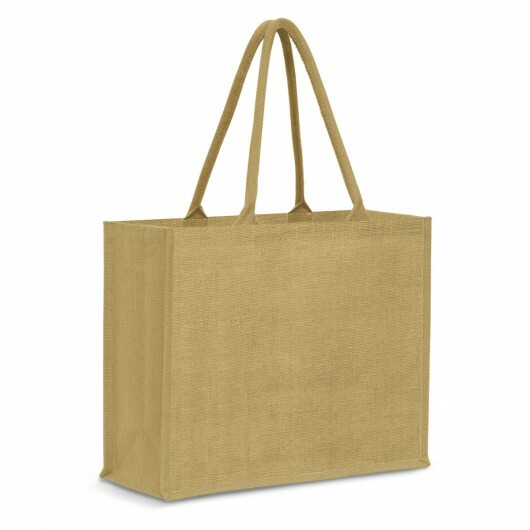 They have a gusset and padded cotton handles and are made from environmentally friendly jute material. Available in a natural version as well as the choice of 4 colours where the gusset and handles are dyed to match. 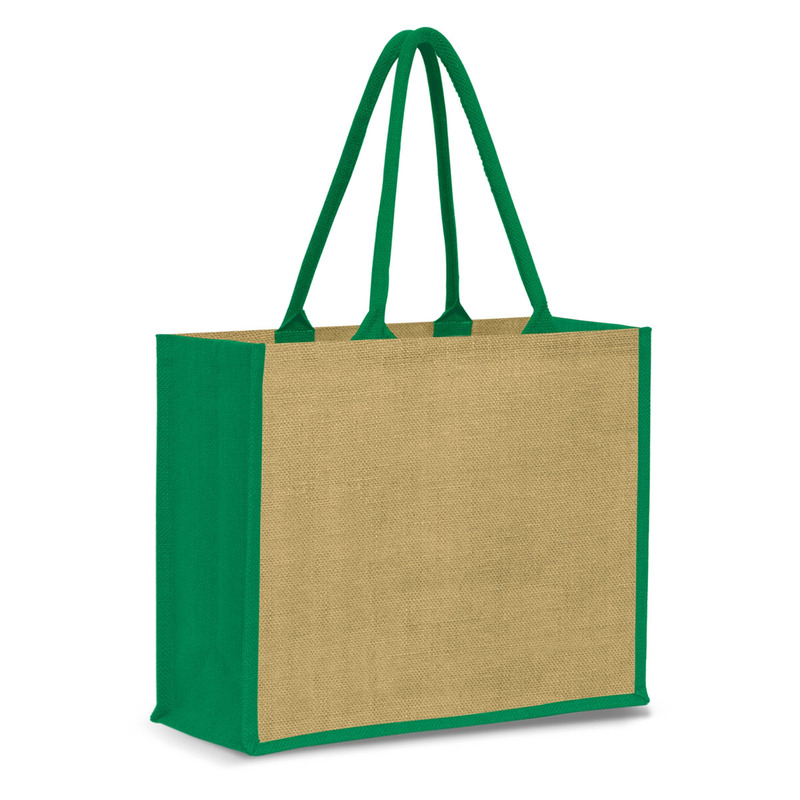 Dimensions H 380mm x W 450mm x Gusset 160mm (excludes handles) Handle Length: 560mm.